Learn more about the visionaries who make our acclaimed Cabo San Lucas dining experiences possible. Browse our Los Cabos culinary team bios below and come taste for yourself their work: innovative cuisine prepared using the freshest available ingredients. From classic Mexican dishes to inventive creations, our team offers simply the best. We look forward to sharing Los Cabos dining experiences with you at The Resort at Pedregal. The Resort at Pedregal proudly announces and welcome Gustavo Pinet as its new Executive Chef. Chef Pinet brings his culinary prowess in Mexican fine-dining and international techniques to The Resort at Pedregal's culinary program, including its four premier culinary destinations. 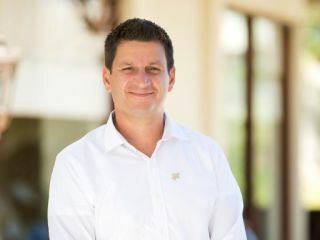 He is also responsible for menu development, staff training, supervising culinary presentations and ensuring exceptional experiences for all guests of the premier luxury resort. Chef Pinet brings with him more than 15 years of culinary experience in some of the world's finest restaurants and luxury resorts. Chef Pinet's cooking style incorporates influences and flavors from throughout Mexico, complemented with classic techniques and influences from his international experience. Novoa is a dedicated and accomplished food and beverage professional with over a decade of experience in restaurants, catering services, leading hotels and Five Diamond resorts. Throughout his extensive tenure in the hospitality industry, he has proven his ability to lead luxury hotels while simultaneously focusing on revenue, growth, concept improvement, employee development, creativity, personalized service, and cost control. 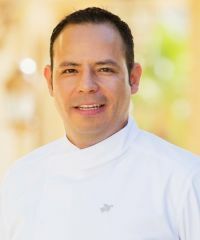 Prior to his position at The Resort at Pedregal, Novoa spearheaded the food and beverage programs at various hotels including Dreams Tulum Resort & Spa, Thompson Playa del Carmen, and Moon Palace Sunrise. Novoa is originally from Guadalajara, Jalisco, and attended the Monterrey Institute of Technology and Higher Education, Guadalajara. Novoa’s dual passions include caring for his family and the evolving world of Mexican gastronomy. 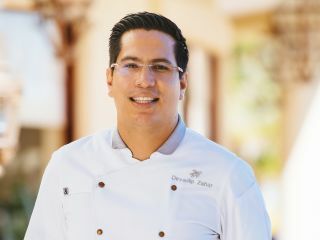 Recently appointed as Executive Pastry Chef, Zabdi Nava brings more than five years of culinary experience to The Resort at Pedregal. As Executive Pastry Chef, Nava is responsible for creating delicious delicacies throughout the resort’s four signature restaurants: Don Manuel’s, El Farallon, Beach Club and Crudo’s. 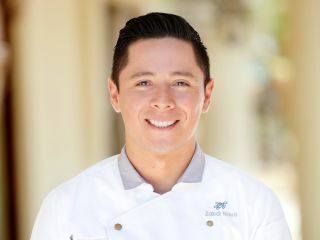 Having studied in both Mexico and Paris, Nava will use his talents to bring together flavorful and worldly inspired pastries to guests of The Resort at Pedregal. Nava’s passion for the kitchen started at an early age, from spending time cooking with his parents and grandparents who were professional butchers and bakers themselves. Prior to joining The Resort at Pedregal, Nava held positions at prestigious resorts including Esperanza, an Auberge Resort, Rosewood Mayakoba and The Ritz Paris. Chef Devadip’s innovative nature and passion for service set the stage for Don Manuel’s, which is entrusted with elevating the Los Cabos dining experience. With more than nine years of industry talent and culinary expertise, Zahar will be at the helm of the kitchen at Don Manuel’s. He trained at the Superior School of Gastronomy in Mexico City, while dually working at Restaurant Bakéa, and has since worked his way through EUHT St. Pol de Mar school in Barcelona, the MB restaurant at the Live Aqua Resort, Restaurante Oca and more, providing him with a diverse culinary style that melds global cuisine influences with local ingredients. His extensive and notable background has allowed him to share the kitchen and work with prominent chefs, including Chef Vincent Torres, Chef Michelle Bernstein, Michelin-star Chef Mario Gamba and more. Originally from Mexico City, Chef Devadip’s dual passions include experimenting with global techniques and influences and providing exceptional and personalized service to guests. Known for her fresh, crisp culinary style, Chef Miriam will continue to drive El Farallon’s coastal-inspired, yet elevated menu. 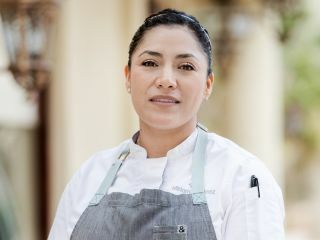 Jimenez started her culinary career at the Universidad Iberoamericana’s culinary arts program in Mexico City and has since risen through the ranks from a kitchen assistant to the opening teams of Rosewood Mayakoba and Nizuc Resort and Spa’s Terra Nosta. A native of Mexico City, she developed her passion for traveling and discovering new cooking techniques, flavors and smells from her mother and grandfather at a young age. Her diversified culinary style and dedication to creating simple yet elegant cuisine reinforce El Farallon’s commitment to showcasing the freshest and finest locally-sourced ingredients that Los Cabos has to offer. 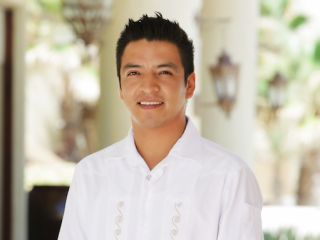 With seven years of experience at The Resort at Pedregal, David Hernandez has worked his way up from bartender to now overseeing all libation aspects at the premier AAA Five Diamond, Forbes Five-Star Los Cabos resort. Drawing on his vast mixology experience and passion for craft cocktails, David uses seasonal and local products. Well-versed in crafting signature cocktails and combining unique elixirs to create extraordinary beverages, he remains focused on classic and contemporary cocktails by utilizing modern mixology techniques. Originally from Mexico City, David’s 14 years of experience have provided many opportunities to work next to some of the leading bartenders and mixologists, including Daniele Dalla Pola, the owner of Nu Lounge Bar in Bologna, Italy, and Ulysses Vidal, Bar Manager at Employees Only in New York, among others.